You'll go hog-wild for these tools - they make seat cover installation so easy! The right tools make any job easy. 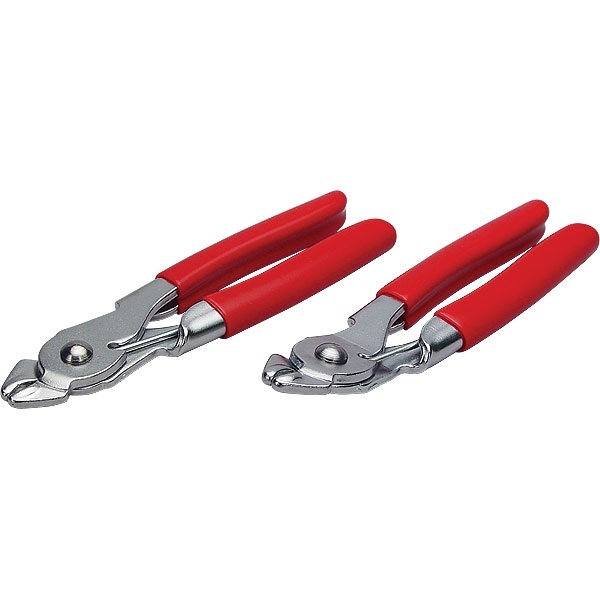 These pliers allow you to easily install hog rings when installing seat covers. Pliers will easily secure hog rings so they can be installed. One plier is straight and one is bent.